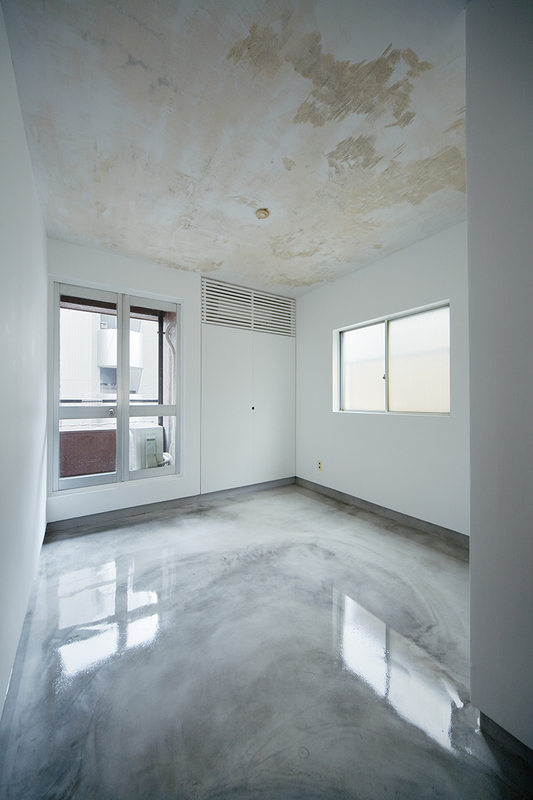 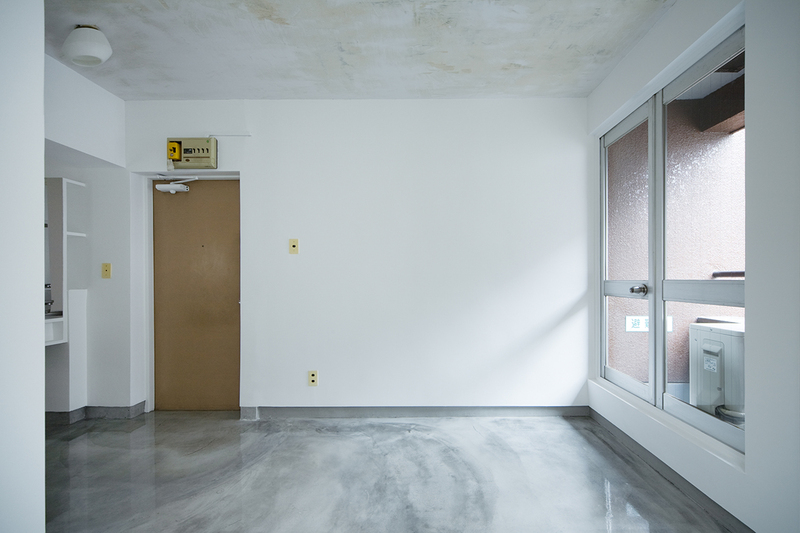 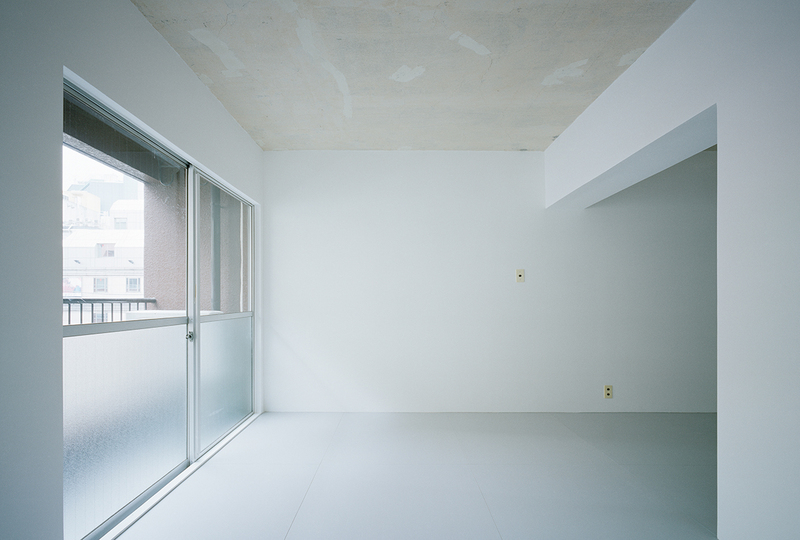 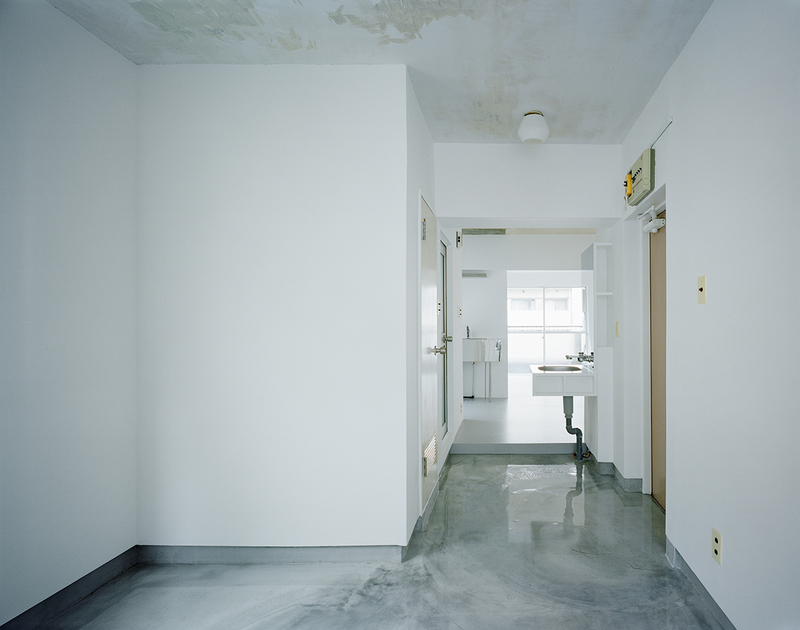 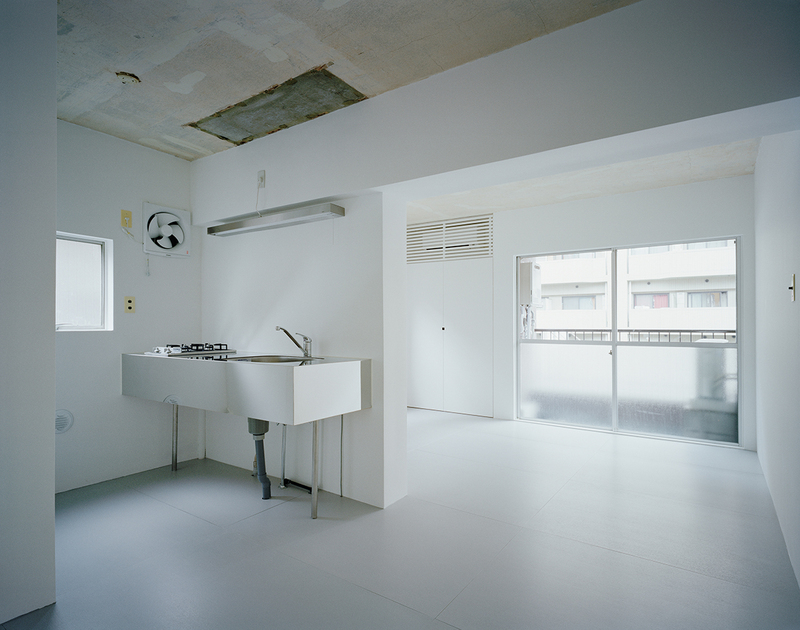 This is a renovation project of a room in a 30-year old apartment building in the Maruyama-cho area in Shibuya, Tokyo. 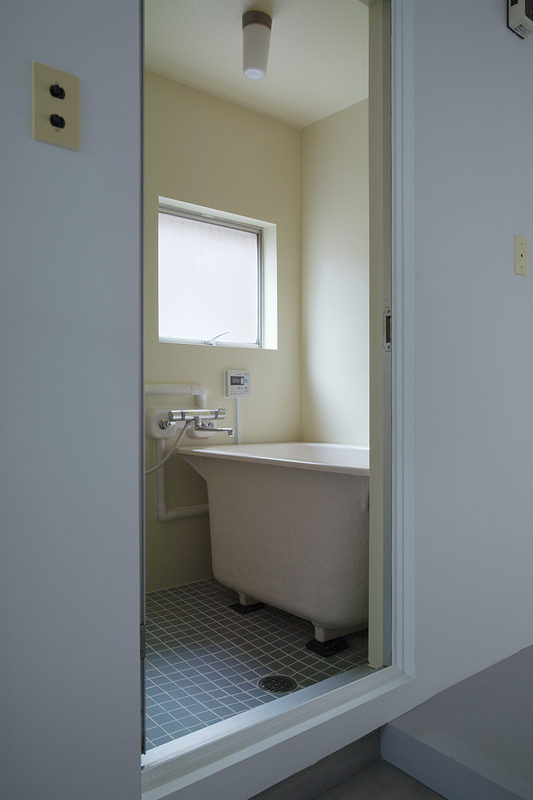 This sordid district is known for its ‘love hotel’ industry, a type of short-stay hotel for couples. 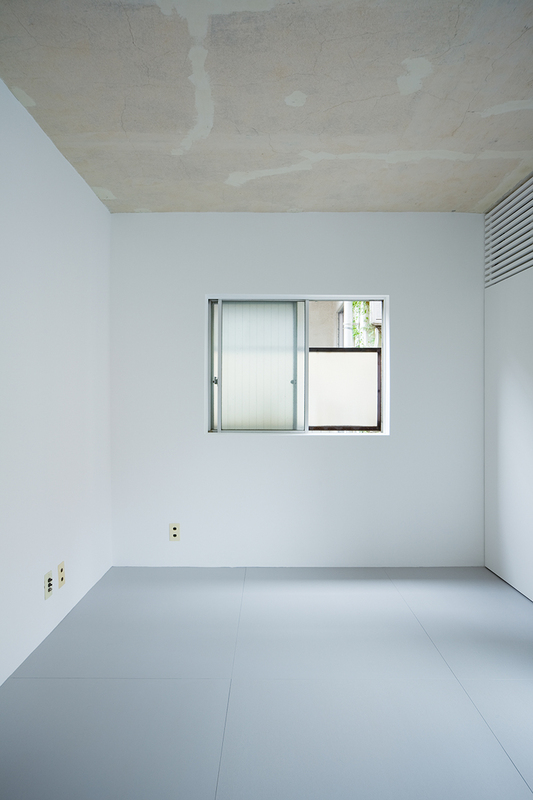 From the existing interior space of the room, we selected certain elements to keep such as the outlet plate, ceiling and windows to connect the room to its surrounding scenery in alternative ways. 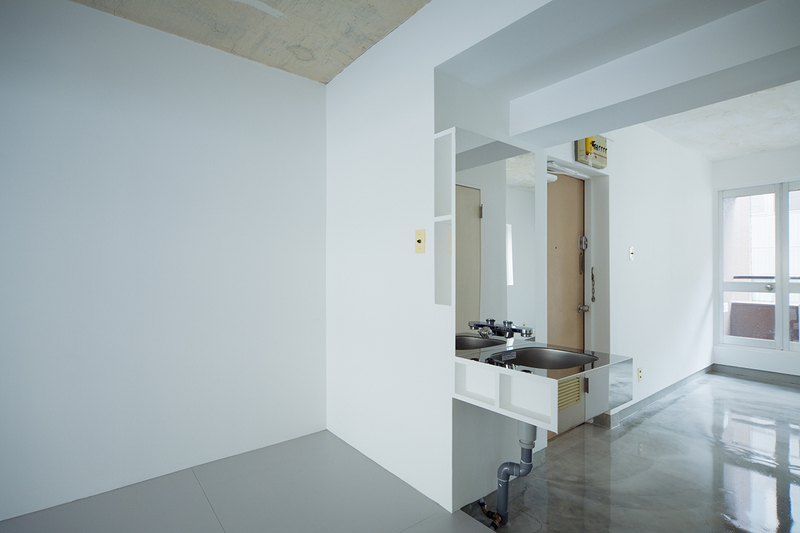 We also strove here to radically transform the space without changing the structure and the basic layout of the interior space.